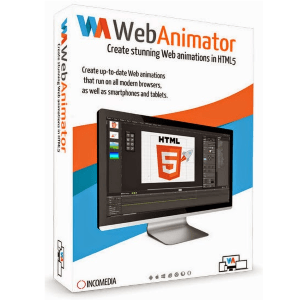 Web Animator is a particular product of Incomedia brand, which provides an opportunity to deliver comprehensive animations together with enormous amount of effects and features. You do not need to have an advanced technical background as well as understand HTML or any other coding languages to work with this application. When you work with Web Animator, you do not need additional instructions, as everything is clear and simple. With an easy-to-use flat interface you’ll love to work on your videos and other media content. 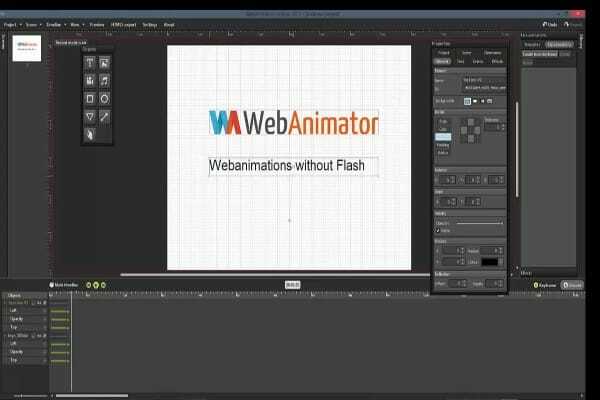 This software package will help you to create a particular animation for your website without using Flash. You will be able to work with design perspectives, analyze features and come up with your unique and stylish design as soon as possible. WebAnimator has a wide range of features, which will help you to create a unique and modern animation without any additional technical knowledge. There are different opportunities to manage your animation for the website. Web Animator is a simple and easy-to-use app, which will help you to work effectively with the animation activities, choose different features and learn more. Installation process is simple and does not require technical knowledge of a user. Basically, all you need to do is to download an installation file on your computer. It is essential to admit that Web Animator works with Windows XP, 7 as well as 8. You can try using it on Windows 10. Make sure your computer has a list of certain requirements such as 1024X768 resolution of a screen and 2GM RAM. In several minutes your installation process with end and you’ll be greeted with a start up dashboard. 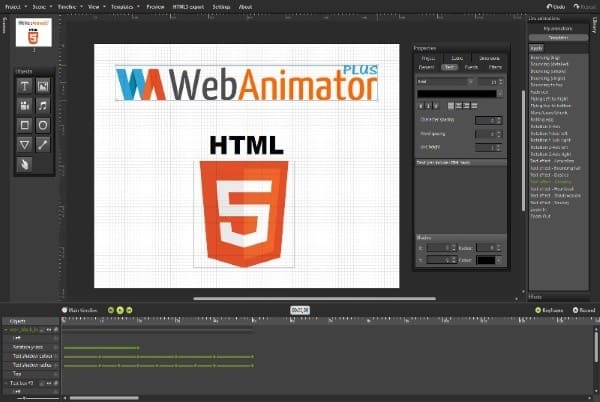 Web Animator has a full package of different features, which may be needed for creating animation for your website. When you start your program – you’ll see a black and white dashboard and a working place made of dots. This working area will become your place to work with your files. 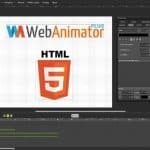 If you have never used Web Animator before – do not worry, as there are several instructions inside the application or numerous tutorial videos on YouTube, etc. All you need is to start working on the simple animation as well as try to use every feature you need. When you practice more – it gives you a chance to become professional as soon as possible. We suggest you to work with an instruction set when editing your first animation. In this case you will be able to understand the role of each button, page or animation effect and become a pro as soon as possible. 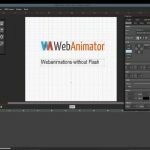 Web Animator GO is a perfect choice for those planning to work with a particular set of features for creating animations. It is a complex application, which is good for startups, those managing small or medium business as well as agencies working with websites and webpages. You can easily download a trial version of the application from the official website, which is available for 14 days. These two weeks will help you to understand the core features and advantages of the app.